Remember how great camp was when you were a kid? Here's your chance to send a child with severe asthma to camp to ride horses, swim, make crafts, and have a memorable camp experience, just like healthier kids. By supporting the "Send A Kid To Camp" portion of our live auction you can donate to the American Lung Association in Florida and make that memory a reality for a child with asthma. Thanks to generous donors like you, Florida children with severe asthma enjoy a week of fun and sun at no cost to them. The American Lung Association in Florida pays $1500 per camper. The mission of Camp Boggy Creek is to enrich the lives of seriously ill children and their families by creating a life enhancing camp experience that is exciting, empowering, memorable, safe and medically sound. The prescription for the day is FUN, FUN, FUN! Laughter, giggles, friendships and excitement abound on the 232 acres of tall pines, majestic oaks and nature trails. 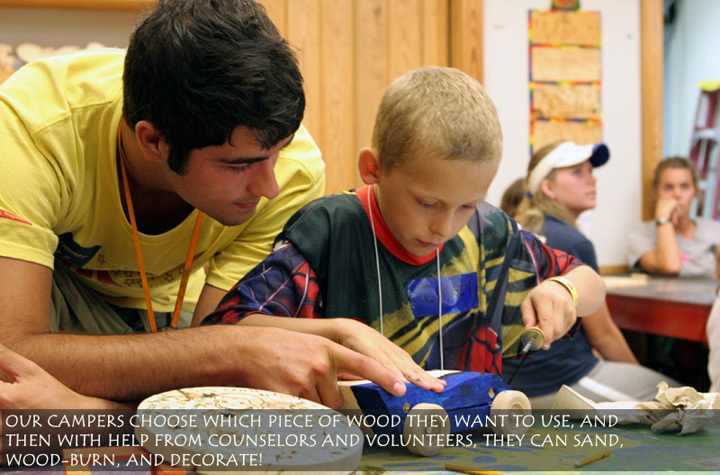 Campers are empowered to do things they never dreamed they could do. They are infused with a spirit of accomplishment at every turn. Asthma week at Camp Boggy Creek is more than a fun-filled getaway. It helps children and their families to better manage the day-to-day challenges they face in dealing with severe asthma.